Dr Alan Greenspan was Chairman of the Federal Reserve from 1987 to 2006 and has advised government agencies, investment banks, and hedge funds ever since. Here, he reveals his deep concerns about economic prospects in the developed world, his view on gold’s important role in the monetary system and his belief in gold as the ultimate insurance policy. WGC: In recent months, concerns about stagflation have been rising. Do you believe that these concerns are legitimate? AG: We have been through a protracted period of stagnant productivity growth, particularly in the developed world, driven largely by the aging of the ‘baby boom’ generation. Social benefits (entitlements in the US) are crowding out gross domestic savings, the primary source for funding investment, dollar for dollar. The decline in gross domestic savings as a share of GDP has suppressed gross nonresidential capital investment. It is the lessened investment that has suppressed the growth in output per hour globally. Output per hour has been growing at approximately ½% annually in the US and other developed countries over the past five years, compared with an earlier growth rate closer to 2%. That is a huge difference, which is reflected proportionately in the gross domestic product and in people’s standard of living. As productivity growth slows down, the whole economic system slows down. That has provoked despair and a consequent rise in economic populism from Brexit to Trump. Populism is not a philosophy or a concept, like socialism or capitalism, for example. Rather it is a cry of pain, where people are saying: Do something. Help! At the same time, the risk of inflation is beginning to rise. In the United States, the unemployment rate is below 5%, which has put upward pressure on wages and unit costs generally. Demand is picking up, as manifested by the recent marked, broad increase in the money supply, which is stoking inflationary pressures. To date, wage increases have largely been absorbed by employers, but, if costs are moving up, prices ultimately have to follow suit. If you impose inflation on stagnation, you get stagflation. WGC: As inflation pressures grow, do you anticipate a renewed interest in gold? AG:Significant increases in inflation will ultimately increase the price of gold. Investment in gold now is insurance. It’s not for short-term gain, but for long-term protection. WGC: Over the past year, we have witnessed Brexit, Trump’s election victory, and a decisive increase in anti-establishment politics. How do you think that central banks and monetary policy will adjust to this new environment? AG: The only example we have is what happened in the 1970s, when we last experienced stagflation and there were real concerns about inflation spiraling out of control. Paul Volcker was brought in as chairman of the Federal Reserve, and he raised the Federal Fund rate to 20% to stem the erosion. It was a very destabilising period and by far the most effective monetary policy in the history of the Federal Reserve. I hope that we don’t have to repeat that exercise to stabilise the system. But it remains an open question. The European Central Bank (ECB) has greater problems than the Federal Reserve. The asset side of the ECB’s balance sheet is larger than ever before, having grown steadily since Mario Draghi said he would do whatever it took to preserve the euro. And I have grave concerns about the future of the Euro itself. Northern Europe has, in effect, been funding the deficits of the South; that cannot continue indefinitely. The eurozone is not working. In the UK, meanwhile, it remains unclear how Brexit will be resolved. Japan and China remain mired in problems as well. So, it is very difficult to find any large economy that is reasonably solid, and it is extremely hard to predict how central banks will respond. WGC: Although gold is not an official currency, it plays an important role in the monetary system. What role do you think gold should play in the new geopolitical environment? AG:The gold standard was operating at its peak in the late 19th and early 20th centuries, a period of extraordinary global prosperity, characterised by firming productivity growth and very little inflation. WGC: Do you think that fiscal policy should be adjusted to aid monetary policy decisions? AG: I think the reverse is true. Fiscal policy is much more fundamental policy. Monetary policy does not have the same potency. And if fiscal policy is sound, then monetary policy becomes reasonably easy to implement. The very worst situation for a central banker is an unstable fiscal system, such as we are experiencing today. The central issue is that the degree of government expenditure growth, largely entitlements, is destabilising the financial system. The retirement age of 65 has changed only slightly since President Roosevelt introduced it in 1935, even though longevity has increased substantially since then. So, the first thing we have to do is raise the retirement age. That could cut expenditure appreciably. I also believe that regulatory capital requirements for banks and financial intermediaries need to be much higher than they are currently. Looking back, every crisis of recent generations has been a monetary crisis. The non-financial part of the US economy was in good shape before 2008, for example. It was the collapse of the financial system that brought down the non-financial part of the economy. If you build up enough capital in the financial system, the chances of serial, contagious default are much decreased. If we raised capital requirements for commercial banks, for example, from the current average rate of around 11% to 20% or 30% of assets, bankers would argue that they could not make profitable loans under such circumstances. Office of the Controller of the Currency data dating back to 1869 suggests otherwise. These data demonstrate that the rate of bank net income to equity capital has ranged between 5% and 10% for almost all the years of the data’s history, irrespective of the level of equity capital to assets. This suggests we could phase in higher capital requirements overtime without decreasing the effectiveness of the financial system. To be sure there would likely be some contraction in lending, but, arguably, those loans should, in all likelihood, never have been made in the first place. WGC: Against a background of ultra-low and negative interest rates, many reserve managers have been large buyers of gold. 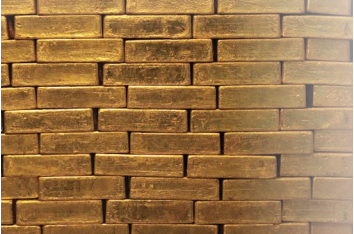 In your view, what role does gold play as a reserve asset? AG: When I was Chair of the Federal Reserve I used to testify before US Congressman Ron Paul, who was a very strong advocate of gold. We had some interesting discussions. I told him that US monetary policy tried to follow signals that a gold standard would have created. That is sound monetary policy even with a fiat currency. In that regard, I told him that even if we had gone back to the gold standard, policy would not have changed all that much. This article was sourced from this World Gold Council publication. To subscribe to our weekly precious metails email, enter your email address here. It's free. A very good example of alternative facts! I know Alan Greenspan isn't the most popular person but please explain, using some facts alternative to his facts. I wonder what a 60 year old labourer would say in the face of raising the retirement age, as opposed to a white collared desk bound pencil pusher? If your working life experience is of the later, then I imagine it's simple to propose raising the retirement age without considering the former. We are all living longer yet our bodies still age at the same rate. The cost of storing and securing physical gold out weigh's its value. Let alone the margin of buy / sell price. I know of one way to store it that costs nothing. if you don't mind the counter party risk you can store your gold for free with a refiner as a metal account. I believe that's what jewelers do. Sort of reminiscent of how paper money came into existence. Didn't a former RADIO PACIFIC Saturday night time host offer that service. This twit missed the whole asset bubble in the US forming. Only a few months before it hit, he said there was no bubbleand everything was tickety-boo. In fact, by dropping interest rates drastically after the tech bust of 2000, he arguable CAUSED this bubble. So I'd ignore anything he has to say.